A unique arrangement featuring the ribbon tied within the flowers! Ribbon color and flowers WILL vary depending on the season. 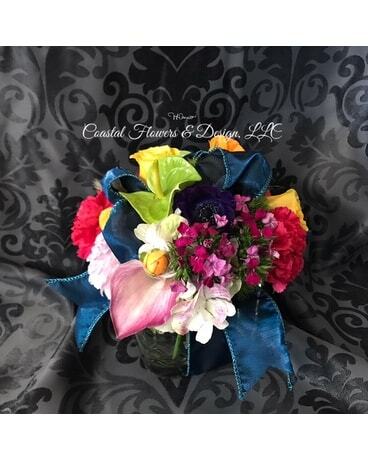 Flowers could include but are not limited to, hydrangea, roses, spray roses, carnations, Gerber daisies, waxflower, sunflowers, daisies, and an array of premium greenery.